Mauna Kea in the (Big) Island of Hawai’i (USA) is on the heat this week. Graffiti found on the rocks that believed as part of stop bombing activities in Hawaiian preserved nature like Mauna Kea. While the intention of the graffiti meant to preserve the nature, it is ironic to voice its concern by ruining the nature itself. The perpetrator also ignored the Hawaiian mythology that the peaks of the island of Hawaiʻi are sacred. In the past, only the high-ranking aliʻi visited its summit. At present days, anyone can visit the summit of Mauna Kea, however, Hawaiians still believe and pay their respect to the sacred summit of Mauna Kea. Mauna Kea is an inactive volcano with the highest summit in Hawai’i and the entire Pacific Ocean with the highest peak of 13,803 ft (4207 m). Dutchie and I drove our rental 4-wheel drive car to its summit area. The road was fascinating to drive and true 4-wheel drive car was certainly a must! As we arrived, just in couple minutes, I felt the symptoms of high altitude sickness. We did not stay too long, but the view was incredibly breathtaking. I felt like I was above the clouds. Before we visited Mauna Kea, Dutchie and I went to the Imiloa Astronomy Center in Hilo first. Mauna Kea and astronomy can not be separated. Mauna Kea’s altitude and position in the middle of Pacific makes it a perfect location for astronomical research. 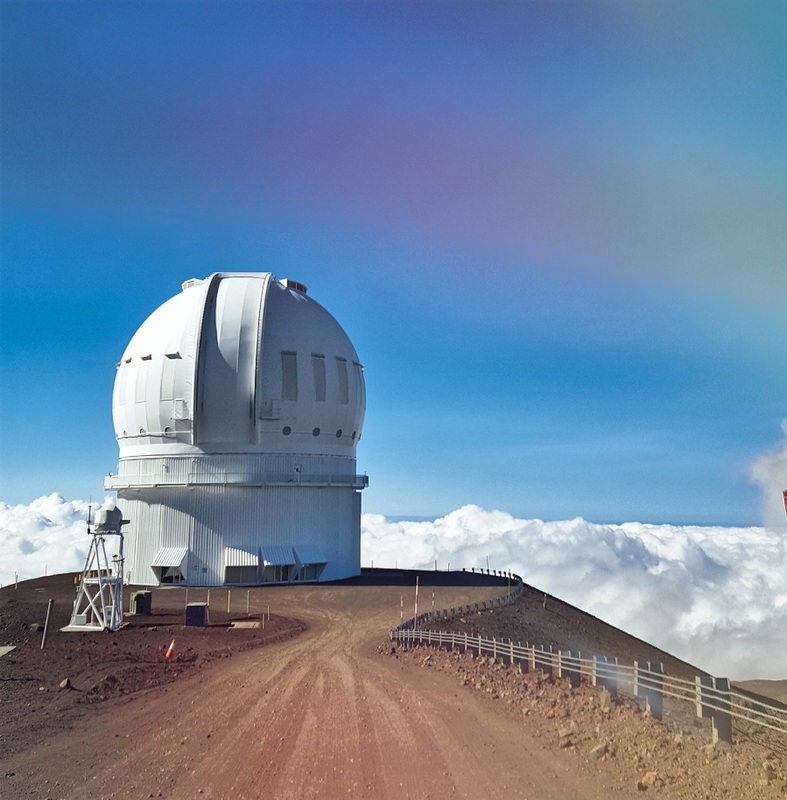 Currently, there is numerous astronomical research in its summit and its summit houses the world’s largest observatory for optical, infrared, and sub-millimeter astronomy (source: IFA Hawai’i). Impressive! Now, back to Imiloa. It has a planetarium where they share astronomical images/video and data from Mauna Kea to public. We watched one of its movies and totally dazzled by our skies beauties and possibilities of life out there that yet to be met and known. I am afraid it won’t happen in my era, but let’s keep our fingers crossed! From Imiloa Astronomy Center, we drove to Mauna Kea via the famous road in Hawai’i, Saddle Road (Route 200). The road was built by the American army in 1942 that located in the “saddle” position in between Mauna Kea and Mauna Loa (an active volcano). I have read the road was considered not safe as it was not intended for a civilian road (but later opened for public). At present, the roads have been reconstructed and maintained as civilian roads. It is safe, however, we encountered a bright day at the beginning of the route but suddenly entered thick fogs along the way. The changing weather perhaps because of its location that in between of two mountains. Do stay alert when driving on the Saddle Road. To conclude, Mauna Kea is a remarkable place to visit and it has easy access to reach without having to depend on tour agency. Following is some more images from the summit of Mauna Kea. 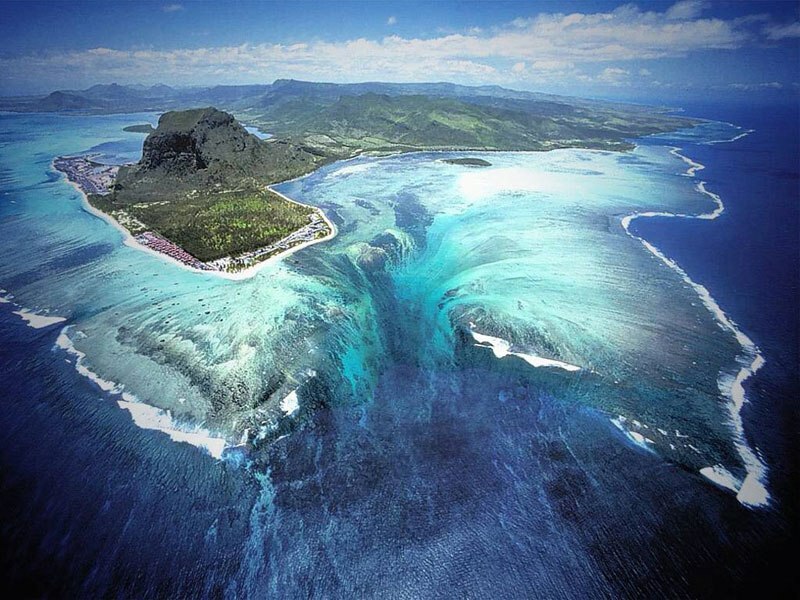 An otherworldly place for sure, and incredible that you can ski there! Great posts on Hawaii. The Saddle Road (and surroundings) is one of my favorite places on the planet.